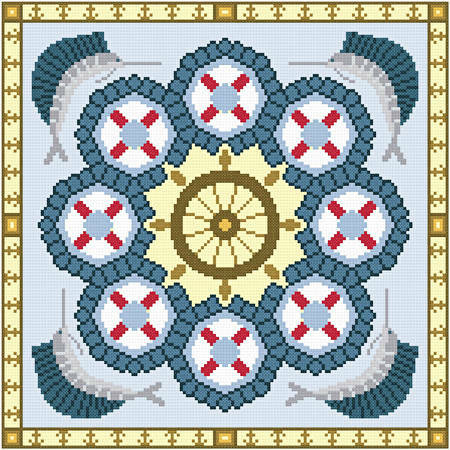 Smooth Sailing cross stitch pattern... This artistic image shows a ships wheel, life preservers, sail fish, and anchors. Some imaginative finishes may be as a pillow top in a nautical theme or as a quilt block. Whole stitches are used.